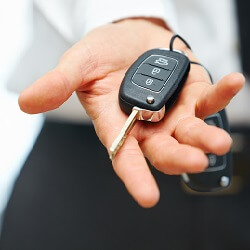 Transponder key programming is important for customers that have chips in their keys. When the car key is turned in the ignition, the engine control unit on the car sends an electronic message to the key, and this allows the car to start only when it receives the correct message back. The key must be cut correctly to turn the locks, and also programmed correctly to disarm the immobilizer. Car keys with chips can be programmed using special equipment. When we replace car keys for you, we have to program them to work on your specific car. We can conveniently come to your location to program car keys. You can count on Locksmith Bee to be there for you at any hour of the night or day. We take pride in our customer service skills and always treat our customers with respect. We offer upfront pricing so that there are no surprises, and we work as quickly as possible to get our customers back on the road again.